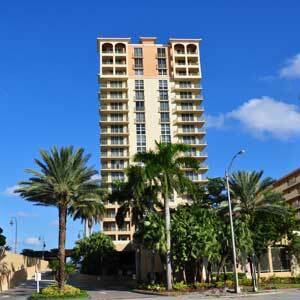 See available properties in Hallandale beach real estate for sale. 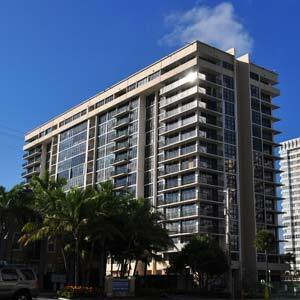 Lots of options choose from Hallandale Beach Real estate market condos, homes, townhomes. 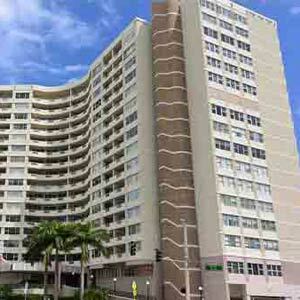 Most complete inventory of Hallandale Beach Real Estate Listings for sale and rent in the area. Please Contact Us or give us a CALL 786-505-4786 if you have a question about the Hallandale Beach Real Estate Market. 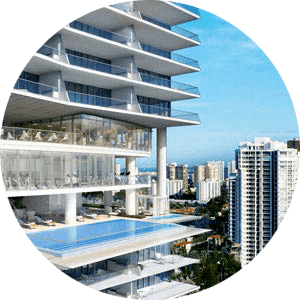 Hallandale Beach famous for its spectacularly luxurious waterfront homes, high-rise condominiums constructed by premiere developers and fascinating financial district full of brokerage houses and banks. 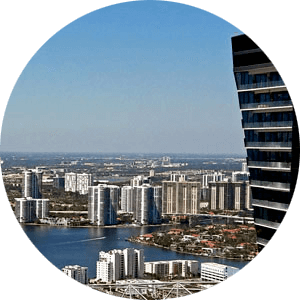 Hallandale Beach real estate market is one of South Florida's fastest growing cities known for its Mardi Gras Casino racing track and Gulfstream Racing and Casino Park. 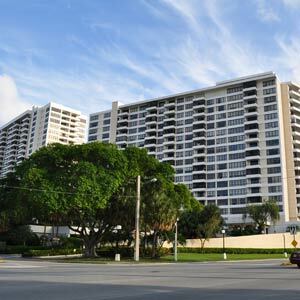 Popular Hallandale Beach real estate, homes and condos for sale are available in different communities comprising Hallandale Beach real estate for sale area that include the Ocean Marine Yacht Club Condo, Parker Plaza, Gulfstream Estates and Golden Surf Towers just to name a few. For hundreds of years, Seminole Indians populated South Florida and the Hallandale Beach Florida until Luther Halland helped railroad company owner Henry Flagler establish a settlement and trading post near Dania, Florida. By the early 20th century, Hallandale was home to several dozen farming families who built schools, churches and farmed for a living. Incorporated in 1927, Hallandale by then had over 1500 residents and had expanded its borders by annexing unincorporated real estate land near the Atlantic shore. 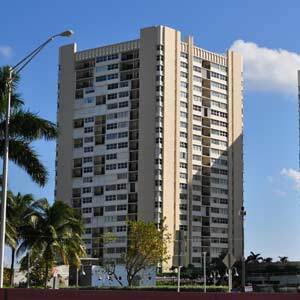 In 1999, the community officially became Hallandale Beach and is part of Broward County. 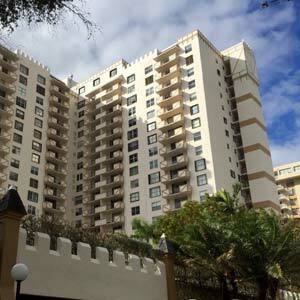 • Hallandale Beach publishes a community newspaper every month called the Hallandale Digest. Residents also have access to the Miami Herald and the South Florida-Sun Sentinel. • The Broward County Transit bus system serves all of Hallandale Beach and provides transportation throughout Broward County. In addition, a mini-bus service that is free to use by Hallandale Beach residents operates on several routes connecting the city to the Aventura and Hollywood areas. 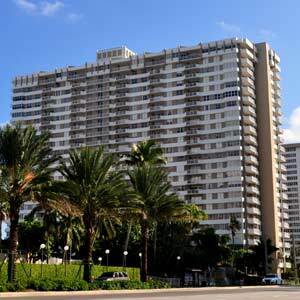 • Hallandale FL Beach residents enjoy a tropical climate year-round with average daily temperatures in the 80s and 90s during the summer and 70s and 80s in fall and winter. • According to the Census Bureau, there were nearly 6000 businesses operating in Hallandale Beach in 2007. • Public schools in Hallandale FL are part of the Broward County Public School system, with elementary students attending Hallandale Elementary Schools, grades six to eight attending Gulfstream Middle School and grades nine to twelve attending Hallandale High School. • Peter Bluesten Park at 501 SE 1st Avenue six-acre facility consisting of a municipal pool, racquetball and tennis courts, community center, playground and concession stands. • Foster Park at 609 NW 6th Avenue the city's first LEED-certified building, Foster Park offers a community center with an American/Caribbean-African-American micro-library/computer lab, weight and fitness room, and historic wing. • Golden Isles Park at 424 Layne Boulevard open from dawn to dusk, Golden Isles Park is a great place to take the kids where they can have fun on a large playground, hike on walking trails, play basketball on a new court and romp with their favorite pet in a special area just for dogs. • Ingalls Park at 735 SW 1st Street five acres of lush green lawns and towering oak trees, Ingalls Park provides a multipurpose rental facility, fitness trails, a gazebo, pavilion, and playground. Golden Isles Tennis Center 10 tennis courts with six of them lighted for nighttime tennis games, three lighted bocce courts, showers, lockers, and a pro tennis shop. 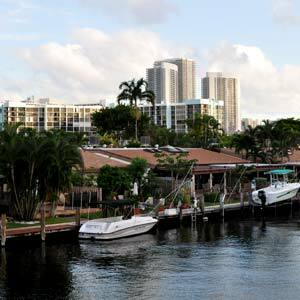 Hallandale Beach City Marina area boaters can take advantage of pump-out facilities, boat docks and various park amenities at the city's main marina. Gulfstream Park Racing & Casino a wildly popular, county-approved casino in Hallandale Beach. The Gulfstream Park Racing and Casino facility are considered one of the more exciting horse racing venues in the U.S. Opened in 1939, the Gulfstream Park Handicap initially ran in 1946, followed by the Florida Derby in 1952. The casino instituted slot machines in 2004 and now hosts all races in the Sunshine Millions, a series of horse races consisting of the Sunshine Millions Sprint, the Sunshine Millions Classic, and the Sunshine Millions Distaff. The Gulfstream Casino also hosts concerts and once hosted the Miami Pop Festival. 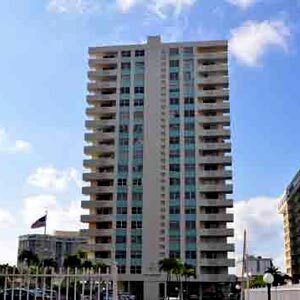 Real Estate in Hallandale Beach has beautiful, spacious single-family homes and oceanfront condos that provide easy access to the world famous Aventura Mall, Bal Harbour Shops, the exciting city of Miami and the Fort Lauderdale airport. Residents can walk to an eclectic variety of dining establishments, Panera Bread, Starbucks or eat at the five-star, international restaurants serving everything from Italian and French cuisine to deliciously spicy Hispanic dishes. 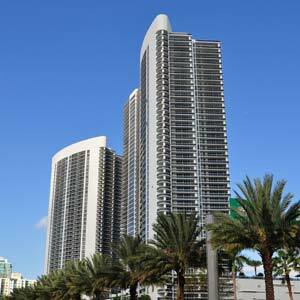 With so many choices of homes, condos and beachfront properties from which to choose in Hallandale Beach real estate. Experts strongly urge potential buyers to retain the services of a professional real estate agency that has operated in the Hallandale Beach area for several years. With in-depth knowledge of the Hallandale Beach real estate market, agents can show you the kind of home you want so that you don't waste time and energy searching for that perfect place you want for you and your family. 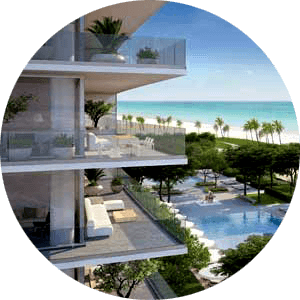 Established Hallandale Beach real estate agents also have good working relationships with local lenders as well as insights into where the best deals exist. They not only assist you in completing a transaction but help eliminate the stress of filling out complicated real estate documents correctly so that delays are avoided. 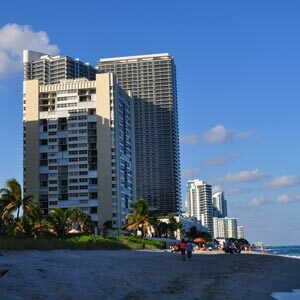 And the sooner you move into your new Hallandale Beach home, the sooner you can begin enjoying the fabulously fun, laid-back lifestyle only Hallandale Beach FL and Southern Florida can offer. 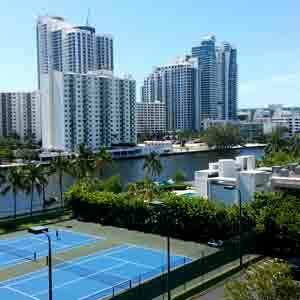 You won't find a more attractive place to live in than Hallandale Beach, Florida and it's all waiting for you.